The poems in this volume have been specially selected and arranged out of more than 700 poems that I have written since 1991 so far, and that are available on my web site at philjohn.com. My poems are sorted into various larger groups and sub-groups, based on a combination of chronology and theme. 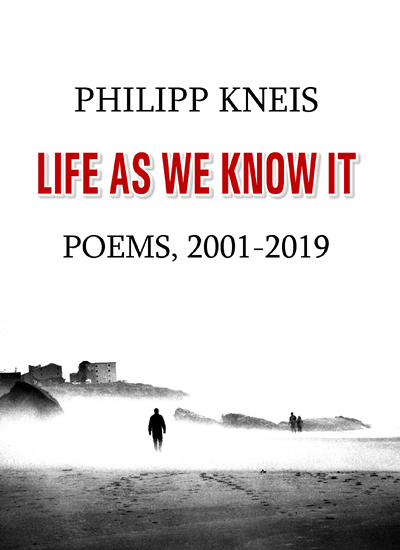 The poems within this volume are taken from groups 17 and 19-24, and they cover years from 2001-2019. I. Observations: Exposition of Theme 1, which is Nature and Human Id. Early on, Aristotle is invoked, and his thinking about nature and the purpose (telos) of things. I am drawing from visits to London, New York (and refer to Paul Auster's New York Trilogy), and to Auschwitz, the memorial to the Nazi extermination camp. Alan Ginsberg wrote a poem "A Supermarket in California", which I contrapose with "A Supermarket in Auschwitz." My "Animalic Yoga Alphabet" is lighter fare to balance out the darkness, but it is also a comment on the absurd modern commodification of the ancient practice of Yoga. II. (Human) Nature: Exposition of Theme 2, which is Human Ego in the face of nature. Human beings tend to question the state of things as they are. I am drawing from a collection of four long epic poems that are contained within my first Tetralogy. The excerpts chosen for this volume focus on human suffering, hope and transgressions - namely war, genocide, the Holocaust, and hubris. The realization of the immensity of human crimes should be doubt and humility. The Camel is shown as superior as it is said that it knows all 100 names of god, whereas we humans only know 99. This is a warning not to overestimate our knowledge of the divine order. I will also refer to two episodes from Homer's Odyssey, one of them the return of Odysseus to his son and wife on Ithaka, after having survived sea monsters like Skylla and Charybdis on his long voyage that had been his punishment by the god Poseidon for defeating the Trojans with his Wooden Horse. III. Life and Death: Development, part 1, which requires a discussion of religious themes, with established (mostly Catholic Christian) tradition, but then a widening to transcendence and an overcoming of established norms. IV. Love: Development, part 2, which is the answer to the questions posed by 3: Love conquers all, and it must be allowed to conquer all. "We'll Always Have Paris" quotes the movie Casablanca, whose theme was exile, morality and love in a time of the absolute breakdown of norms and life itself. V. Civilization: Reprise of Themes 1 and 2, with subthemes from the development portions interwoven throughout. The excerpt of "Terror Incognitus" ("unknown terror") chosen for this volume, "Dark Bird Perched," is dedicated to James Welch, a Native American author from Blackfeet and Gros Vente tribal heritage, and is alluding to the Sand Creek massacre of the Cheyenne and Arapaho people in 1864, and the Wounded Knee massacre on the Lakota Indian Reservation at Pine Ridge in 1890. The "dark bird" may be a raven or crow and is frequently a trickster animal; in this case, overseeing the effects of the genocidal diminishing of America's indigenous nations, who are still continuing to fight for the survival of their individual cultures and peoples. The use of winter as a sign of discontent is, of course, as old as Shakespeare or older. Rarely, anything is new at all. Thus in "The Sea at Night," with "semper crescis / aut decrescis" Fortune's wheel is invoked, a reminder from the Medieval Carmina Burana that fate favors no one, that everything is cyclical and outside our human control, no matter how much we may desire it to be so. The aim of Section V is not to pretend that everything now is ok, but to again weave the core topics together to finally end with the realization that nature is always stronger, that we, as human beings, have created a world out of balance, and that our Ego needs to recede, to dissolve almost, so that we discover balance and harmony again, to reject the yoke of an exclusive focus on the material world, and to accept a level of spiritual being that is at one with the world again, while not being unaware of our human imperfections.